A woman fatally shot by South Pasadena police when she waved a weapon that turned out to be a BB gun at officers was identified Friday as an actress who had a recurring role in the medical drama "ER." Vanessa Marquez, 49, was shot around 11:50 a.m. Thursday when police went to her home to conduct a welfare check. 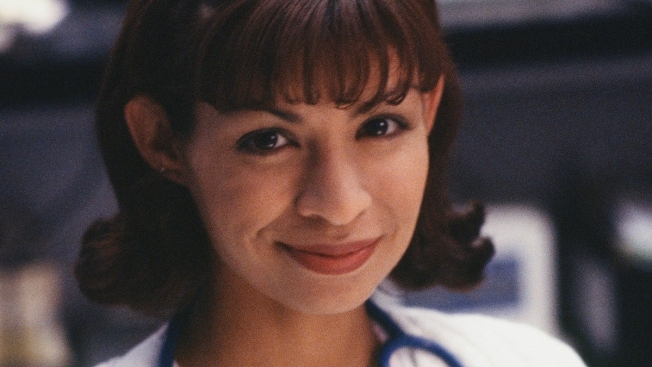 In addition to her role as nurse Wendy Goldman on "ER" from 1994-97, Marquez also appeared in the 1988 film "Stand and Deliver" and had guest roles on shows including "Wiseguy," "Seinfeld," "Nurses" and "Melrose Place." South Pasadena police said officers went to her home in the 1100 block of Fremont Avenue on Thursday to check on Marquez. "She was suffering from some problems, eating disorder," Sgt. Joe Mendoza of the Los Angeles County Sheriff's Department told reporters at the scene. "When they (officers) arrived, she was suffering a seizure." Sheriff's officials said a county mental health clinician was with South Pasadena officers at the scene, and they spoke with Marquez "for over an hour and a half in an attempt to offer her medical care. She then armed herself with a handgun and pointed it at the officers, at which time an officer-involved shooting occurred." Mendoza said that after the shooting, "officers checked the weapon and they discovered it was a BB-type gun that resembled a semi-automatic handgun." Marquez made headlines last year when she accused former "ER" star George Clooney of blacklisting her from the show for speaking out about harassment on the set. "Women who don't play the game lose career. I did," she wrote. She alleged she was racially and sexually harassed on the set. Clooney denied having her barred from the show, telling E! News he "had no idea Vanessa was blacklisted." "I was not a writer or a producer or a director on that show," he said. "I had nothing to do with casting. I was an actor and only an actor."